The Harvard Rover Team has spent the past two years researching, designing, and building Harvard's first ever rover for university competitions. We believe we've developed an innovative rover design that will give us the edge at the competition! As a new entrant to Rover competitions, we were able to design all aspects of the rover from the ground up. From our leg design to our walking algorithm, we wanted to make sure we tackled this project from a new perspective. Our drivetrain abandons the conventional rocker-bogie suspension system for innovative legs that serve both as a suspension and propulsion system. We have developed several types of leg designs that could be easily switched out from the rover to adapt to the requirements of the task at hand. As opposed to wheels, our legs require algorithms and motors specially designed to keep the rover upright and moving smoothly. We achieved precision control of motor angles by using 6 high power Brushless Maxon motors, and managed to create a stable smooth gait that can easily plow over objects, as intended! With a CAN (Controller Area Network) communication channel between six independent motors driving custom C shaped legs, our drivetrain can alternate between different gait patterns to accommodate various requirements of speed, stability, and terrain type. We chose a modular design to enable flexibility with prototyping and quick repairs. All of the electronics are either directly mounted to the bottom of the chassis or on to the railing. This way we can minimize the amount of custom mounting hardware necessary to accommodate all the components. The top of the rover contains an electrical port and railing system that allows for a range of positions for different components that can be mounted on the rover deck in seconds. Our focus on a robust, modular system architecture has allowed us to specialize our designs and rover configuration to tackle a variety of competition tasks. The arm design follows similar principles applied to the overall chassis, employing carbon fiber tubes and uniquely designed end-caps. The arm features a combination of linear actuators and servos to provide fine control of the tool on the end as well as the power necessary to pick up and position the 5 kilogram weight. In line with our focus on modularity, we designed a mounting system at the end of the arm to allow for interchangeability of tools. To control the six degree of freedom system, we built an inverse kinematics solution to aid the operator in the fine control of the end tool. Our power system uses two battery packs, one with 6 cells and the other with 3 cells. The 6 cell battery powers the motors for the legs as well as the two cameras. The 3 cell battery powers all other electronics, consisting of the servos for the arm, raspberry pi, GPS, IMU, Lidar, cameras, and other sensors. Robert is a Senior in Adams House where he is pursuing an S.B. in Mechanical Engineering at the John A. Paulson School of Engineering and Applied Sciences. He is an accomplished engineering student and John Harvard Scholar, was the recipient of the Detur Book Prize for high academic standing, and earned two Certificates of Distinction in Teaching from harvard for helping teach a course on mechanical design. He has worked as a project manager at a defence contractor and even started his own 3d printing business, before focusing on leading this robotics team. Jesper is a Freshman at Harvard where he intends to pursue an S.B. in Mechanical Engineering at the John A. Paulson School of Engineering and Applied Sciences. Although new to the “hands on” style of the Rover Team, Jesper has a background in Computer Aided Design, having obtained certifications in AutoCAD and AutoDesk Inventor during high school. Jesper looks forward to using these skills and developing others as a member of the Rover Team. Andrea is a Sophomore pursuing an S.B. in Mechanical Engineering at Harvard John A. Paulson School of Engineering and Applied Sciences. She has been since fall of freshman year and has enjoyed gaining experience in building and designing a robot, especially one as cool as the rover. She is also involved in other engineering groups, such as Harvard’s chapters of SWE and SHPE, and the Human Powered Vehicle club. Camilo is a Sophomore pursuing an S.B. in Mechanical Engineering at Harvard John A. Paulson School of Engineering and Applied Sciences. He has been a member of the rover team since fall of freshman year and has enjoyed building and designing the mars rover. He is also involved with Harvard’s chapters of the Society of Hispanic Professional Engineers, Harvard Association for US- China Relations, and the Human Powered Vehicle club. Albert is a Junior mechanical engineering student at the Harvard John A. Paulson School of Engineering and Applied Sciences. He is also working towards a secondary in computer science and enjoys working in cross-disciplinary engineering projects, like the Mars rover. He was awarded the Hong Kong Scholarship for Excellence Scheme for his engineering studies in Cambridge. 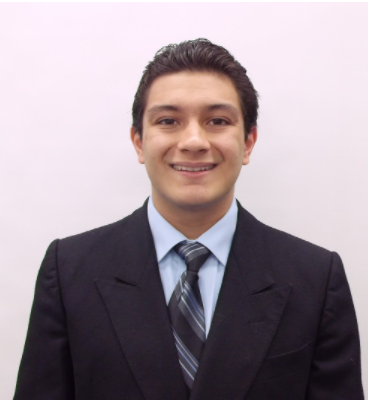 He is a peer tutor for multiple math and engineering courses. Maggie is a sophomore pursuing an S.B degree in electrical engineering and a secondary in computer science at the Harvard John A. Paulson School of Engineering and Applied Sciences. Since her freshman year, her projects and coursework have been focused on the development of skills in the intersection of the two fields. The cross disciplinary focus of her role on the Rover team is exemplary of this interest. Maggie is also involved in several other engineering clubs and tutoring organizations around campus. 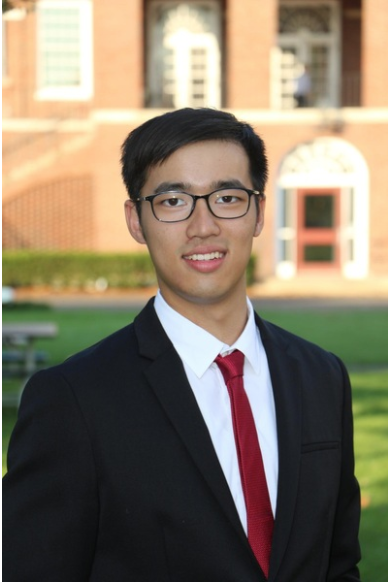 Nicolas is a sophomore pursuing an S.B degree in electrical engineering at the Harvard John A. Paulson School of Engineering and Applied Sciences. With an early interest in the interface between software and hardware and a restless tendency to fiddle with electronics, he became involved with robotics at high school and has continued that interest at college. He was awarded the SEAS i3 Innovation Award for a medical hardware startup as a freshman and currently assists in teaching Harvard’s introductory electronics course. Alex is a freshman at Harvard College looking to study electrical engineering. He has long held an interest in embedded systems and wireless communications, so the Rover project is a perfect extension of these interests. Alex is a two-time ISEF alumnus and 2016 Hackaday prize semifinalist. He also enjoys creating electronics projects in his free time that he posts at alexwulff.com. William is a junior pursuing a degree in Physics and Computer Science. In addition to being a member of the rover team, he is co-president of Harvard’s robotics club. Before that, he was project manager of the robotics club’s MechWarfare team, which won first place at Shepherd University, WV and sixth at Robogames, CA. William enjoys delving into challenging engineering and coding projects, and is excited to compete at the rover competition. Kit is a freshman considering pursuing Computer Science at the Harvard John A. Paulson School of Engineering and Applied Sciences. He has worked and lead FIRST robotics teams throughout his middle school and high school years, dealing primarily with programming and electrical tasks. Following his passion for robotics and trying out new things, Kit joined the Rover Design Team where he is picking up Solidworks and applying his new skills toward to contribute to the project. April is a senior pursuing a degree in Neurobiology with a secondary in Astrophysics. She was the president and founder of her high school Vex Robotics Club and has spent time building things through a class at MIT. She has spent the past three summers interning at the Jet Propulsion Laboratory where she has become fascinated with engineering. April joined the Rover Team her senior year in order to continue robotics and get some exposure to engineering. John has extensive experience with the robotics club being a member for 3 years now and being a project manager of 2 other HURC projects. Previously with HURC he was on the Mechware team which won first place at Shepherd University, WV, and as project manager of the Balancer team, got 2nd place at Robogames San Francisco, CA. He also does research in the Harvard Agile Robotics laboratory on trajectory planning algorithms for autonomous aircraft. Matthew Giles is a freshman considering pursuing a degree in electrical engineering. He has been building and programming robots since freshman year of high school. In high school, he participated in FIRST robotics, leading programming and design teams. He has long been fascinated by space exploration, and he helped design a hypothetical manned mission to Mars with the Washington Aerospace Scholars program. The rover team provides the perfect environment for him to pursue his primary interests, space and robotics. William Drew is a freshman considering pursuing a degree in computer science on the Mind, Brain, and Behavior track. He has been building robots since sophomore year of high school. Although he has most experience with programming robots, he decided to join the build team to get experience working with hardware. William is fascinated with space exploration and the Mars rovers.